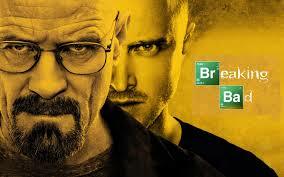 Looking for something to fill the void now that ‘Breaking Bad‘ is over? Here are six titles that should keep you entertained. The Girl With The Dragon Tattoo by Stieg Larsson. Forty years after the disappearance of Harriet Vanger from the secluded island owned and inhabited by her powerful family, her uncle, convinced that she had been murdered by someone from her own deeply dysfunctional clan, hires journalist Mikael Blomqvist and Lisbeth Salander, an unconventional young hacker, to investigate. Difficult Men : behind the scenes of a creative revolution : from the Sopranos and the Wire to Mad men and Breaking bad by Brett Martin. The new golden age of television drama—addictive, dark, suspenseful, complex, morally murky—is chronicled in Brett Martin’s Difficult Men. This group portrait of the guys who made The Sopranos, Six Feet Under, The Wire, Deadwood, Mad Men and Breaking Bad is a deeply reported, tough-minded, revelatory account of what goes on not just in the writers’ room but in the writer’s head—the thousand decisions fueled by genius, ego, instinct, and anger that lead to the making of a great TV show. No Country For Old Men by Cormac McCarthy. One day, a good old boy named Llewellyn Moss finds a pickup truck surrounded by a bodyguard of dead men. A load of heroin and two million dollars in cash are still in the back. When Moss takes the money, he sets off a chain reaction of catastrophic violence that not even the law–in the person of aging, disillusioned Sheriff Bell–can contain. Fight Club by Chuck Palanuik. The rise of a terrorist organization, led by a waiter who enjoys spitting in people’s soup. He starts a fighting club, where men bash each other, and the club quickly gains in popularity. It becomes the springboard for a movement devoted to destruction for destruction’s sake. Trainspotting by Irvine Welsh. Probably most famous for the gritty depiction of a gang of Scottish Heroin addicts, Welsh’s controversial first novel focuses on the darker side of human nature and drug use. Winter’s Bone by Daniel Woodrell. Ree Dolly’s father has skipped bail on charges that he ran a crystal meth lab, and the Dollys will lose their house if he doesn’t show up for his next court date. With two young brothers depending on her, 16-year-old Ree knows she has to bring her father back, dead or alive. As an unsettling revelation lurks, Ree discovers unforeseen depths in herself and in a family network that protects its own at any cost.